Diamondback Terrapins are more than mascots, more than history. Recently, I had the pleasure of raising terrapins with the help of Jeffrey Popp and visiting Margie Whilden at the Terrapin Institute. They have numerous tanks with Diamondback Terrapins in them. One of the terrapin tanks has hatchlings in it. Take time out and visit the Terrapin Institute to learn more about the present and future of this species. Margie and Jeff work very hard. All work is funded by committed volunteers and occasional donations. 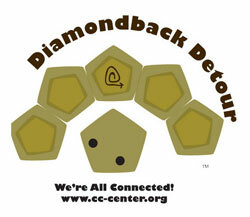 Please take timeout and take a Diamondback Detour to hear about and see their amazing work. Take time out and visit the Terrapin Institute to learn more about the present and future of this species. 6311 Neavitt Bozman Road, Neavitt, MD, 21652. Please call 410 745 8359 or 410 370 9171. “Terrapin” means “edible turtle that lives in brackish water.” It comes from an Algonquian Indian word, torope. They were a quite popular meal in the 1900’s. Commercial harvesting was officially banned in 2007. Their shell has diamond shaped growth rings. These rings are similar to growth rings on a tree. They also similar to our fingerprints as no two are alike. If they eat too much salt, they get rid of it through special glands in their eye. Terrapins jaws are toothless and called “beaks.” These beaks are so strong they can bite through shells. Just like horseshoe crabs, terrapins take around 8 years to be mature enough to reproduce. And just like hsc’s they need sandy beach habitat to lay their eggs. While Hsc’s eggs are green. Terrapin eggs start off pink and then turn more white. If a nest is kept at low temperatures the hatchlings will be male. If it is kept at higher temperatures, the hatchlings will be female. Much of their sandy beach habitat has been lost due to development and rock wall installation. Great numbers of females are killed as they cross the road in search of appropriate nesting ground. They become trapped easily in eel and crab pots and eventually drown. Putting a Bycatch Reduction Device on your pots, can quickly prevent this from happening. 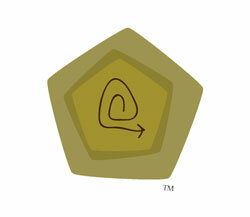 They can live as long as 50-70 years (up to 50 years in the wild, 50-70 in captivity). To learn more, visit your local library or browse the internet.